Jeffrey Marlow is a geobiologist at Harvard University, where he studies exotic microbial metabolisms in an attempt to understand the limits of life on Earth and beyond. He has followed extreme microorganisms to active volcanoes, acidic rivers, ice caves, the high Andes, and the deep ocean. Jeff's current research seeks to understand methane-consuming microbial metabolisms found at deep-sea methane seeps, and incorporate them into a biofuel production platform. He has also served on NASA's Mars Exploration Rover and Phoenix Mars Lander teams, and worked for Google's marketing division and Cisco’s Planetary Skin partnership with NASA. As a journalist and science writer, he has reported on science, the environment, and international development for publications including The New York Times, Slate, Wired, and Discover. 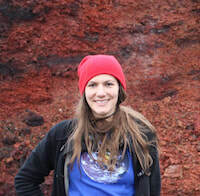 Carolyn Crow is a NASA Earth and Space Sciences Graduate Fellow in geochemistry at the University of California Los Angeles. She studies the early geologic history of the Moon, in particular the history of large impacts recorded in rock samples returned by the Apollo missions. Constraining the early impact rate of the Moon and Earth is important for understanding not only the emergence of life on early Earth, but also the potential habitability of Mars and other bodies in our solar system. Carolyn has worked with the NASA Dawn Mission Education and Public Outreach team to develop classroom materials that incorporate mission science and has conducted teacher training on how to utilize these materials to enrich their curricula. She also received the UCLA Earth and Space Sciences Departmental Teaching Award for her work as a teaching assistant. Paul Hayne is an assistant professor of planetary science at the University of Colorado Boulder. His research relies on data beamed back by missions across the Solar System, to study fundamental processes shaping planetary surfaces and atmospheres. 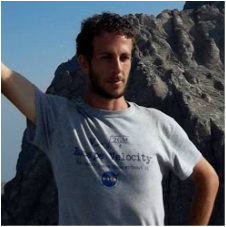 Before joining CU-Boulder's Laboratory for Atmospheric and Space Physics, Paul spent five years as a staff scientist at NASA's Jet Propulsion Laboratory. He earned his BS and MS degrees from Stanford, a PhD from UCLA, and was a postdoctoral scholar at the California Institute of Technology. Originally inspired to pursue planetary science by the Galileo mission's discovery of a subsurface ocean on Jupiter’s moon Europa, Paul’s research continues to focus on icy worlds. From the polar ice caps of Mars to the hydrocarbon rivers and lakes of Titan, the spectacular and mysterious features revealed by planetary missions continue to provide plenty of inspiration. Wladimir Lyra is an assistant professor of astronomy at California State University Northridge, and affiliate scientist at NASA's Jet Propulsion Laboratory in Pasadena. His research focuses on computer simulations of planet formation, aiming at understand the origin of the Earth and the diversity of planetary systems. He is also interested in habitability, and is currently working on convection in the ice shell above the subsurface ocean on Jupiter’s moon Europa, which is important for understanding the observed surface features. Before joining the CSUN faculty, Wlad held a Sagan Fellowship at JPL, the prestigious postdoctoral research grant named after the famous science communicator Carl Sagan. He earned his Ph.D. from Uppsala University, Sweden, and his B.Sc. from the Federal University of Rio de Janeiro. 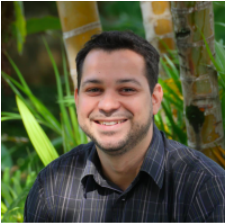 As a native Brazilian who has studied abroad extensively and worked at NASA, he is eager to give back to his community and initiate long-term favela-based educational projects. Julia DeMarines is an Astrobiologist and science communicator, who teaches at the Chabot Space & Science Center, is a visiting scientist and education liaison at Berkeley SETI Research Center, the public outreach coordinator for Blue Marble Space, and writes for Astrobiology Magazine. She holds a Masters degree in Space Studies, from the International Space University (Strasbourg, France) and a Bachelors degree in Astronomy from the University of Colorado. Her research focus has been primarily on the subject of remote biosignature detection on exoplanets, the ethics behind messaging extraterrestrial intelligence, and the impact of informal educational activities. She has previously worked at the Denver Museum of Nature and Science, NASA Ames, and NASA Langley, and Fiske Planetarium. Julia has also been a science communicator for two expeditions at sea on the RV Atlantis and the JOIDES Resolution. Julia created “Space in Your Face!” – a space variety show involving comedy, cover songs, science demos. Alejandra Frias is a Science Instructor at Chabot Space and Science Center in Oakland, California. She graduated from UC Davis with a B.S. in Environmental and Agricultural Education and has worked in education for five years, with a mission to further the accessibility and inclusion of women and children in the sciences through education. As an activist she plans to continue educating the community, especially underserved populations, in health and science. Through her job, personal interests, and her sorority (Lambda Theta Alpha Latin Sorority Inc., which provides outreach opportunities with local organizations), Alejandra has found platforms to be influential. Working at Chabot Space and Science Center has sparked a deeper interest in Astronomy, has expanded her views on the potential of science to inspire, and has given her a first hand experience on how the diverse ways of teaching science makes an impact on her community. In her free time, Alejandra likes to watch Friends, loves to crochet, dance Mexican folk dance, and travel. Melissa Rice is an Assistant Professor of Planetary Science at Western Washington University, where she has held a joint appointment in the Geology Department and the Physics & Astronomy Department since 2014. She received her Ph.D. from the Department of Astronomy at Cornell University in 2012, and was a NASA Astrobiology Institute Postdoctoral fellow at Caltech from 2012-2014. 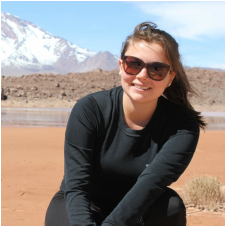 Her research focuses on the sedimentology, stratigraphy and mineralogy of Mars. She is a collaborator on the active Mars Exploration Rover Opportunity missions, a Participating Scientist on the Mars Science Laboratory rover mission, and a Co-Investigator for the Mastcam-Z investigation in development for the Mars2020 rover mission. When she's not exploring Mars, she enjoys traveling and exploring the best planet in the solar system: Earth! Hank Leukart is a Los Angeles-based filmmaker, television producer, and writer. Hank has produced a variety of television shows for American television networks, including CBS's "Amazing Race” and “Big Brother,” ABC’s “Expedition Impossible,” Discovery's "Naked and Afraid" and “The Wheel,” History's "Top Shot,” The CW's "Capture,” and TNT's "72 Hours.” His recent short documentary film, Umbrella Dreams, followed a group of student activists for four days during the Hong Kong democracy demonstrations in the fall of 2014. An adventure-travel enthusiast, Hank has traveled to over 50 countries while writing his popular online travelogue, Without Baggage. His recent trips have included hiking and paddling 370 miles across New Zealand’s South Island, walking 580 miles across Spain, trekking 115 miles across Iceland, backpacking through post-revolution Egypt, and boating down the Congo River. Hank’s also a secret science nerd: he spent five years after college designing software at Microsoft. Felipe Carrelli has a BA in Image and Sound by the Federal University of São Carlos (UFSCar). He did the full length features Light Year (2015) and Leila (2016), and he is also a co-founded on the urban intervention project Ocupe Carrinho. Beyond being a audiovisual he works as a photographer and does workshops focusing on the relation between audiovisual language and education. 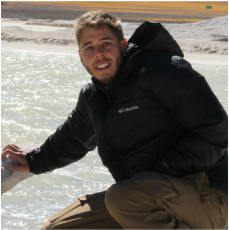 Leonardo Sattler Cassará has a degree in Astronomy from the Federal University of Rio de Janeiro (UFRJ) and continues to work there as a laboratory assistant at the Geophysics Department. He has finished a Masters degree at Observatório do Valongo / UFRJ, researching geological processes on Jupiter's icy satellites and studying the possibility of life beyond Earth. Leo has experience in computational and theoretical physics, on problems of relativity, gravitation and fluid dynamics. He likes to spend most of his time in front of a computer, coding while listening to good music and sipping a nice strong coffee. Karolina Garcia is an industrial engineer who has worked in finance and pricing for companies such as Shell and Coca-Cola, but has always been fascinated about the mysteries of the universe. Born in California and raised in Rio, Karol grew up seeing the social injustice around her, hoping someday to aid in the betterment of Brazil. At Ad Astra Academy, she found the opportunity to not only improve students' lives through science education, but also to start pursuing her own passion for astronomy in the process. As a step towards this career, Karol finished a Masters degree program at Observatório do Valongo / UFRJ and participated in the J-PAS project, a photometric sky survey, to discover and study supernovas. When not reading about cosmology, Karol can be found watching TV series, playing with her cats, or planning a trip. She is currently doing a PhD at the University of Florida. João Paulo Nogueira Cavalcante holds a PhD in Astronomy from UFRJ. His research focuses around on understanding the cessation of star formation in close and distant galaxies. He also worked on large scale galaxy clusters in cosmic time. Born and raised in the periphery of Rio de Janeiro, he is very familiar with the difficult reality of the low income working class in the city. João Paulo feels that Ad Astra is an opportunity to share a little of his science expertise with those who live in places where violence and the disregard of the state are a fact of life. Loloano Silva was from the state of Minas Gerais and moved to Rio de Janeiro to study astronomy at the Valongo Observatory, UFRJ . Early on, when walking at night, away from the city lights, he fell in love with the sky and stars and has worked to study them more deeply ever since. At University, Loloano got involved with the Universe of Science Communication and traveled throughout Brazil to facilitate outreach events. In the process, he discovered a brightness even more beautiful and intense than that of the stars: the shine in the eyes of people (mostly children) who gain a new understanding of science and a broader window of knowledge. Loloano was passionate about travel, astronomy, science, and knowledge, and was eager to share these interests with all. He passed away on January 2nd, 2019, aged only 25, in a tragic car accident. He was together with his partner Marcelle Araújo, 20, who also perished in the accident. Both enthusiasts of science outreach, they also fought passionately for a more just society. We will remember Lolo as a dedicated and friendly colleague, who we will terribly miss.